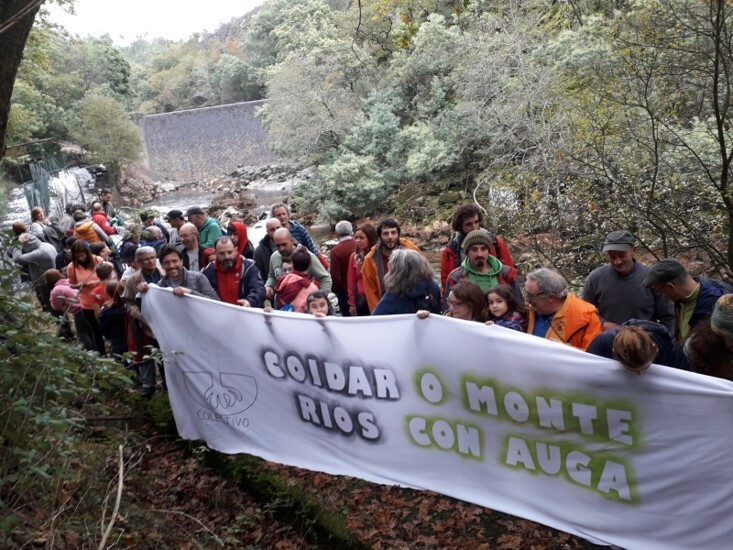 On December 2, 2018, approximately one hundred people marched along the Verdugo River in Pontevedra, Spain from Soutomaior to Ponte Inferno—the location of the hydroelectric Ponte Inferno Dam. The concession for this dam expired 16 months ago and now, a local association, A Rente do Chan, want to see this 11 meter high dam removed. In October 2017, local Galician community members initiated a social movement, A Rente do Chan, in response to a wave of wildfires that strongly affected the local forest area. Together as a group of over 100 volunteers, they worked on the burnt forest restoring the soil in over 30 ha. As a result of all this work together, the group became strong and unified. They soon found their unity fortuitous in the face of a new governmental project that planned to divert more water from their local river to another Spanish city, Vigo. In their opinion, this project was planned without necessity or proper assessment of alternative solutions to try to spend less water in the big city of Vigo. 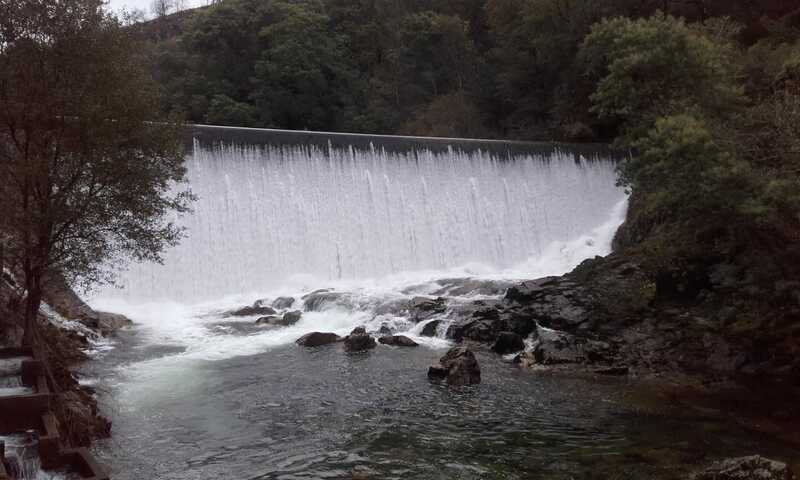 When A Rente do Chan started their fight against the intake of more water to divert to Vigo, they realized that the Verdugo River is not only harmed by the implications of this new project but also of a hydroelectric dam, Ponte Inferno, that blocks the passage of migratory fish up Verdugo River. This dam now sits in the river illegally as its concession has expired and it is now obsolete. The association recognize the implications this dam has on ecosystem of the river and began a plea for its destruction. These efforts to save the Verdugo River started in the summer of 2017. The surrounding public supported efforts by attending informative events held in both towns affected by the dam: Soutomaior and Ponte Caldelas. A few days ago, near a hundred people participated in a walk-demonstration from Soutomaior to the dam (3 km). The two affected town councils supported an official paper about the importance of removing that dam. 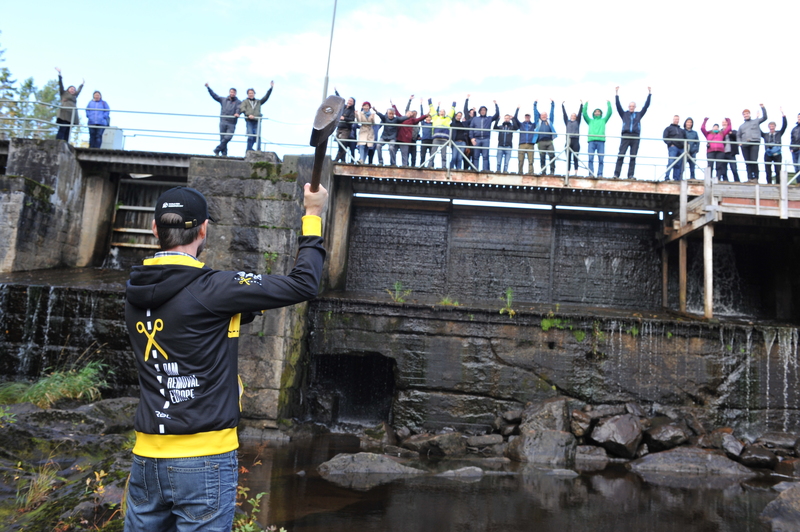 The association thinks that without the support of the public opinion it would be impossible to remove this dam. Now, the manager of the Galicia River Basin Authority has agreed to start the expiration process. But what will be the result of that process? The association hope that the dam will be removed before 5 years, providing the River Basin Authority starts the process right now. To ensure this, A Rente do Chan have already sent a request to the Environmental Prosecutor Office, as the irregularities in this hydroelectrical power station have to be investigated. In the coming months, A Rente do Chan plan to study every dam along the Verdugo River, and also in the Oitavén River. Their next steps are to investigate the four dams that are upstream of the Ponte Inferno Dam as two of them do not have fishpasses. They hope to force the dam owners to solve such irregularities and harmful practices. “We must not wait for government to do anything; we just keep our action helping the government and companies to follow the law in relation to rivers, because it seems that many times both forgot them. “ says Jesús de la Fuente. We hope to have more information from Jesús as their journey to keep the Verdugo River healthy ensues. They have opened the way to cancel the use of the dam. However, this does not necessarily remove the dam but it is the first step in the legal process. The Water Department has started a legal procedure to punish the hydro company with a fine for using the hydraulic concession without observing the Water Law. They will reconsider the degree of affectation to this part of the river.